It might look so unusual for an attorney to argue that the product produced by his client is not very valuable. However, this is an attempt to shake the assertion of the government that Time Warner content is considered “must have” by many distributors and therefore should not be placed in the hands of AT&T. During the Tuesday court session, Dan Petrocelli, AT&T and Time Warner’s lead attorney questioned one of the key witnesses, Warren Schlichting who was appearing for the Justice Department. Schlichting is the president of streaming service Sling TV, which is part of satellite television company Dish. 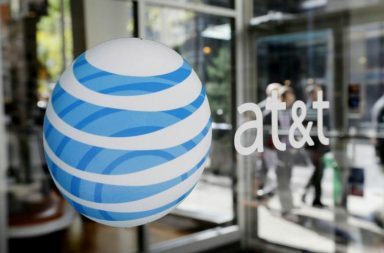 On Monday during the direct questioning from lawyers representing Justice Department on Monday, Schlichting said the combination of Time Warner and AT&T would be harmful to his company. It would lead to raising of prices, or taking away customers, many of which would leave if Dish cannot reach a deal to air content from Turner networks like TNT,CNN and TBS, which Schlichting claims carries “must have” content like news and live sports. The lost customers could easily cross over to Dish’s main competitor, DirecTV which is owned by AT&T plus DirecTV Now, its new streaming service. However, in the Tuesday session, Petrocelli tried to poke holes in the the witness’s argument, offering a list of sporting events which are not actually carried by Turner. Those include all NFL, NASCAR and NHL events, the Super Bowl and the Olympics. Petrocelli noted that the Super Bowl, although available to Dish subscribers, will not be available Sling subscribers next year because it does not carry CBS.